One of the rarest oils in the world, with extraordinary properties. Instant, deep moisturizing, gives elasticity and firmness. Ideal for face, neck, body, hair and nail. This innovative dry oil spray moisturises, nourishes and protects the face, body and hair. 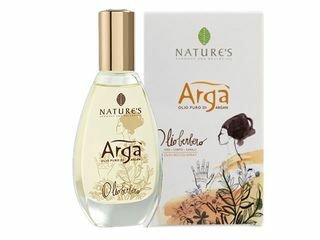 With a more than 99% natural formula, it combines 7 precious herbal oils: Argan, Orange, Pistachio, Olive, Rice, Sweet Almonds and Grapeseeds, which make the skin immediately smoother and the hair soft and shiny.